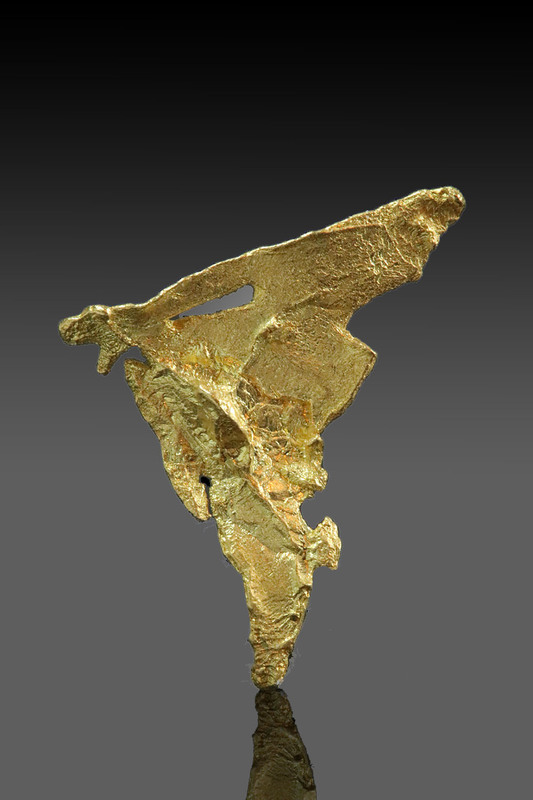 A very unusual form on this gold leaf specimen from the Yukon. 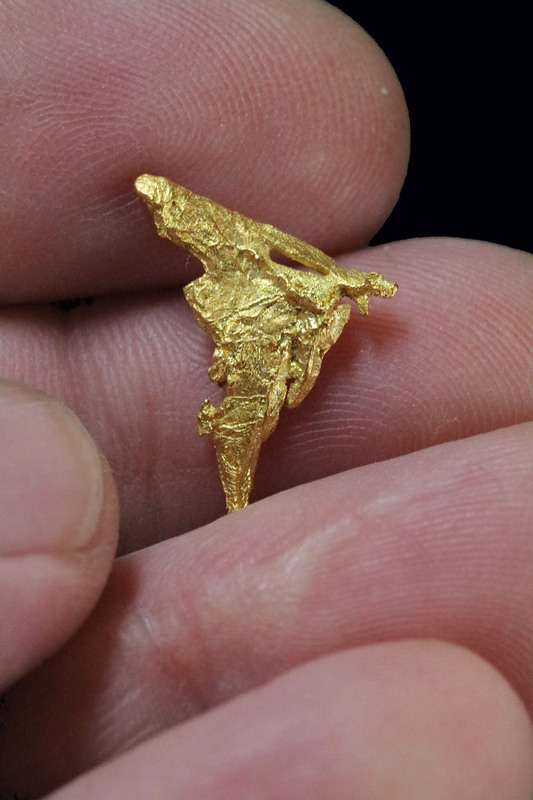 Another piece I hand picked from hundreds of gold nuggets because of its unique shape. 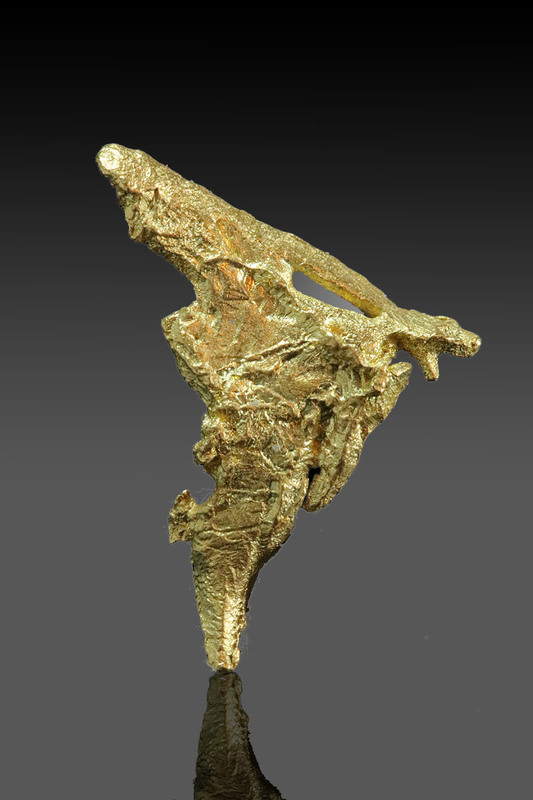 Gold specimens like this are very rare from the Yukon. A beautiful piece for any collection.